This is such a simple and easy to execute solution that it made my head spin. I did this in Gmail but am sure that this can be done in any mail app. Have the message skip your inbox and go straight to delete and voila! 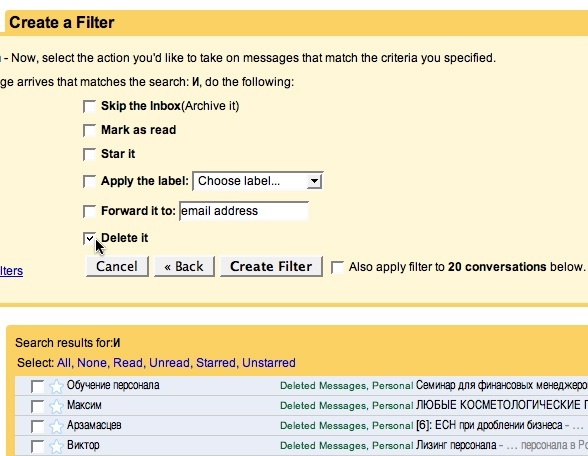 To deal with email spam in Russian, plug all these characters, one at a time, into your email filter and check “Match any of the following: Subject contains…”. It’s almost certain that one of these characters will appear in the Subject. And of course check Perform these actions: Move to folder Trash. 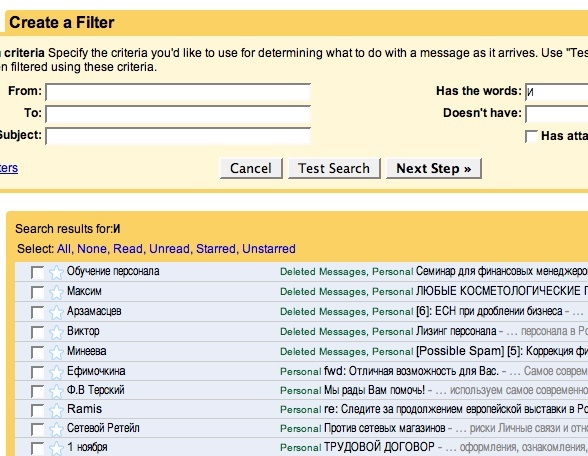 If you’re expecting REAL messages in Russian, too bad.